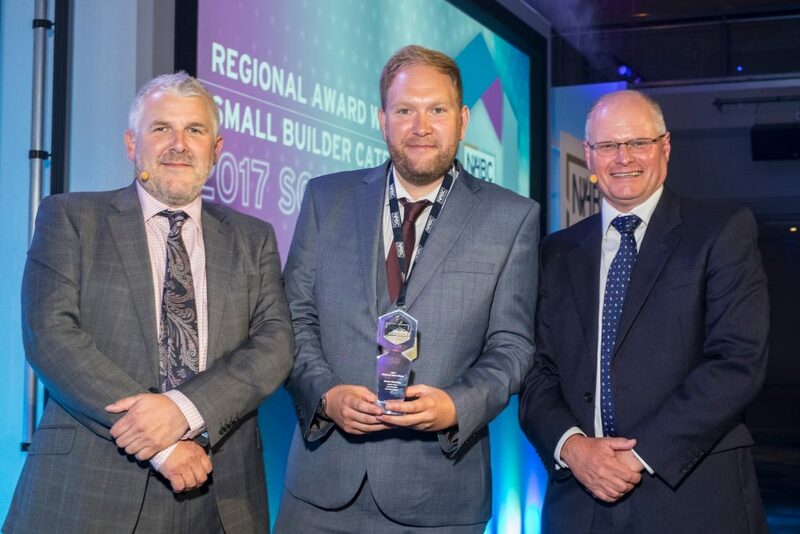 At the NHBC awards ceremony to collect his Pride in the Job Quality Award, Simon went on to win a Seal of Excellence Award and then on again to win a Regional Award for the Small Builder Category. The next stage is the Supreme Awards which will be announced in January 2018. Congratulations to Simon, who is shown here collecting his award.